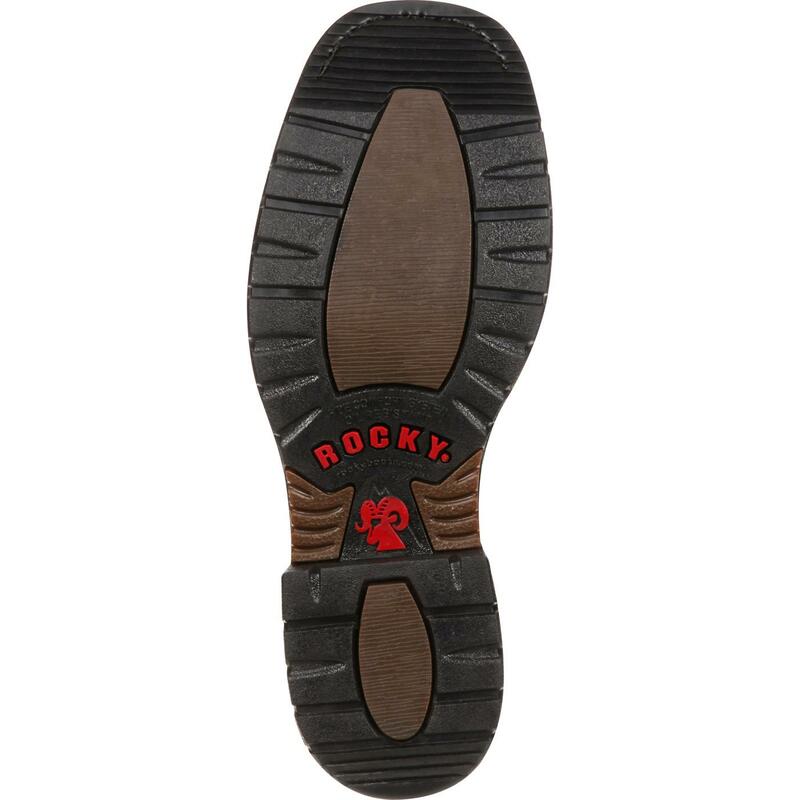 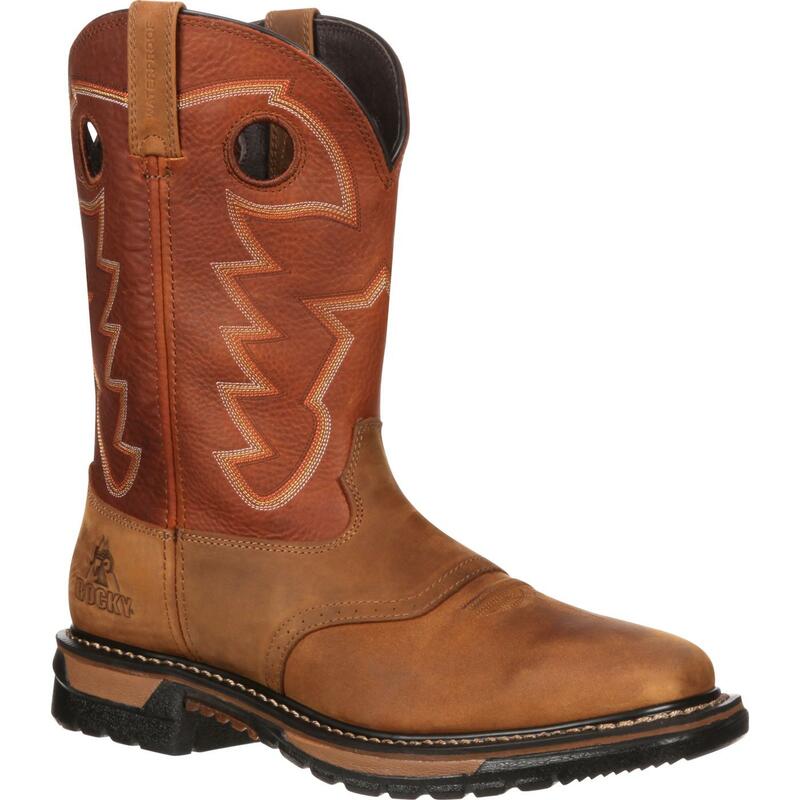 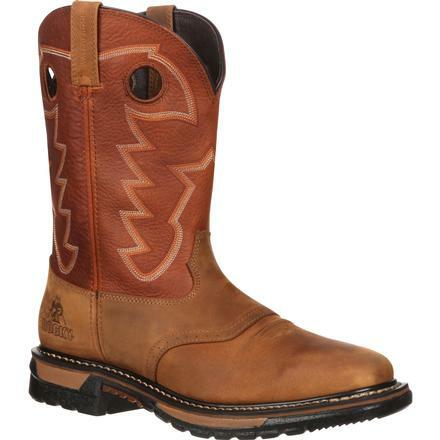 These 11-inch men's western work boots have full-grain leather uppers. 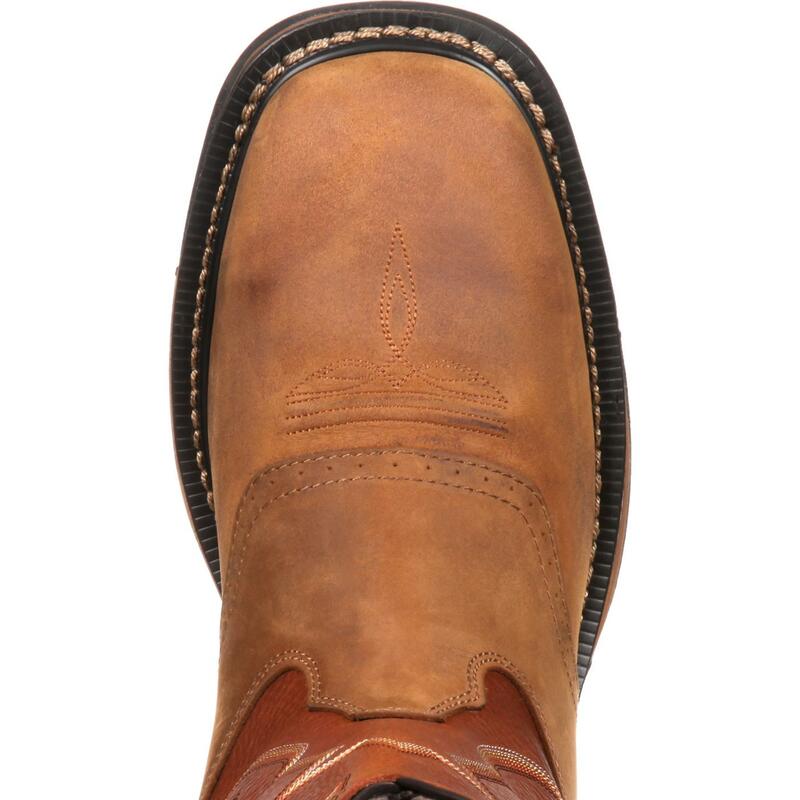 The foot is tan paired with an ochre shaft that features stitching detail. 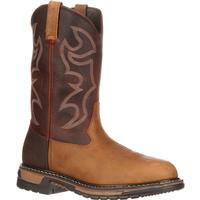 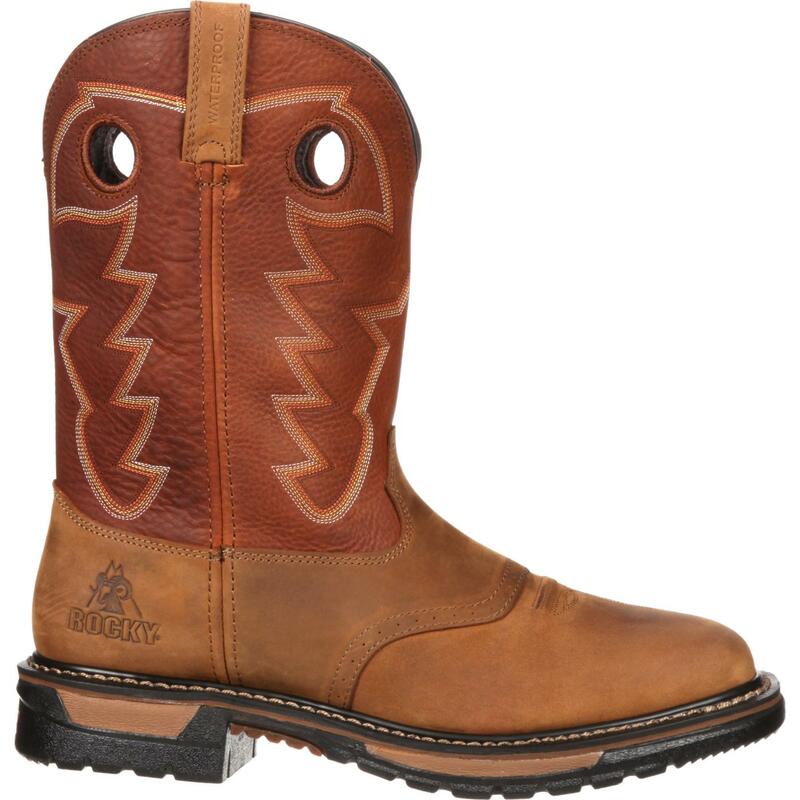 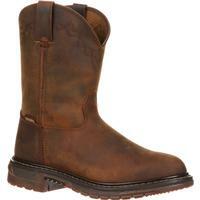 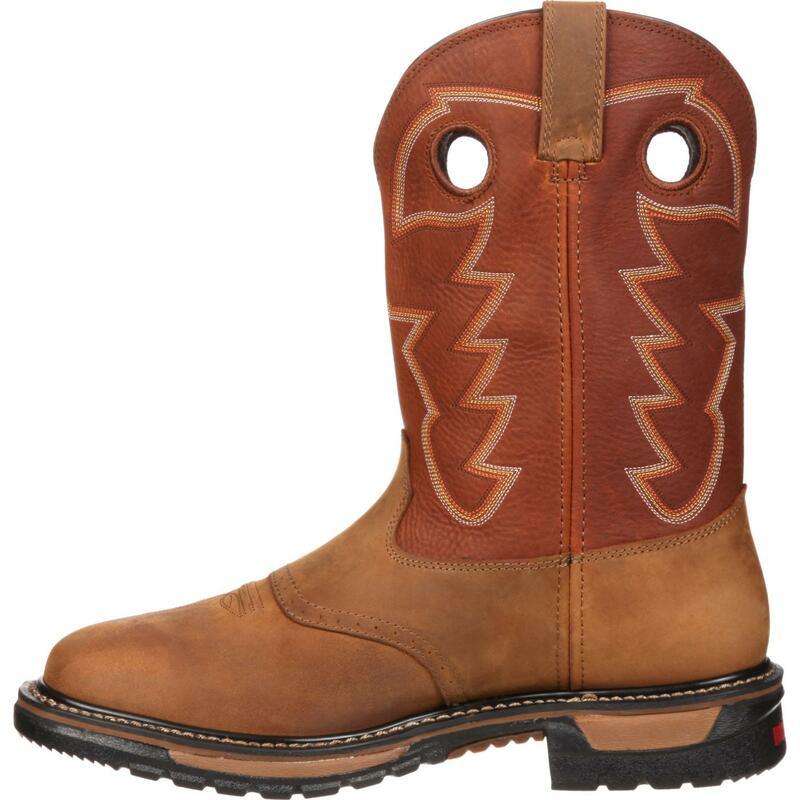 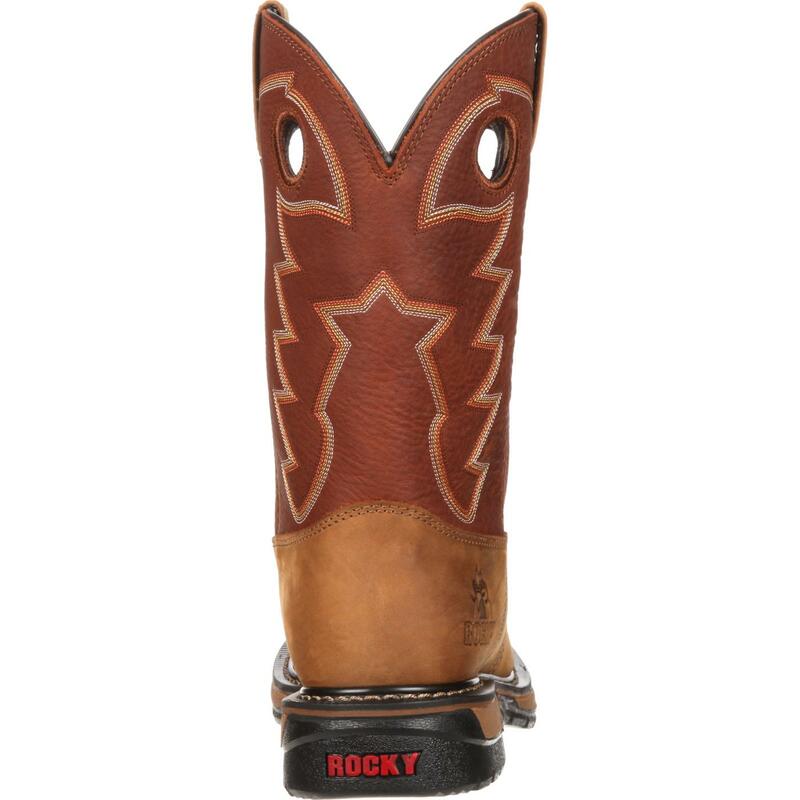 The boot has both pull straps and pull loops, as well as a great western square toe.